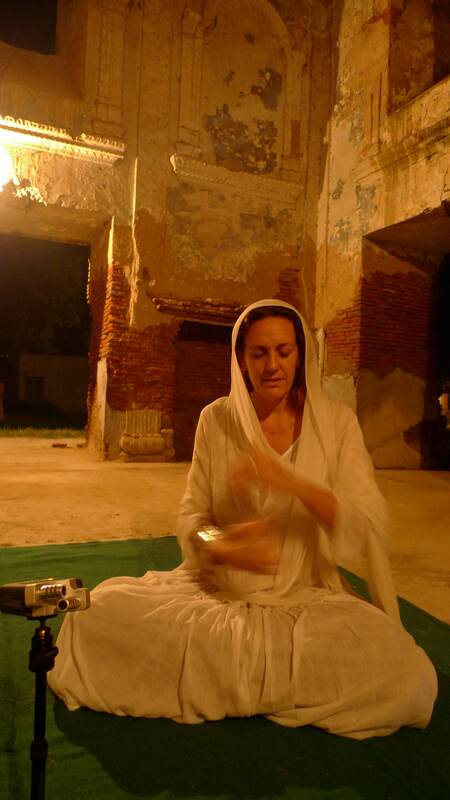 During my recent fieldwork in Punjab (August 2012), I had to opportunity to spend few days at Sultanpur Lodhi, where Bhai Baldeep Singh established the Anad Conservatory’s seat in the enchanted atmosphere of a historical Qila (a 12th century royal palace in ruins). I reached Sultanpur Lodhi traveling from Amritsar by car, and it was quite an inner journey to leave the chaotic holy city to merge into the dimension of the countryside where the pace of life is articulated in the steps of peasants and their cattle. I had the impression that time slowed down, and laya took a vilambit pace. At my arrival I was welcomed in the calm dimension of the Qila, by their inhabitants. The bani of the Guru in raga malhar – a dhrupad– was filling the air. Bhai Baldeep Singh’s voice resounded in the ancient Darbar Hall (King’s court) located at the centre of the Qila. Far from touristic routes, the historical site of Sultanpur Lodhi with its ruins and blooming greenery, the sound of the birds all around, it easily brings the visitor to imagine and experience what in ethnomusicology is described as soundscape, the sonic environment of a past or a different culture (Strohm 1991, Schafer 1977). 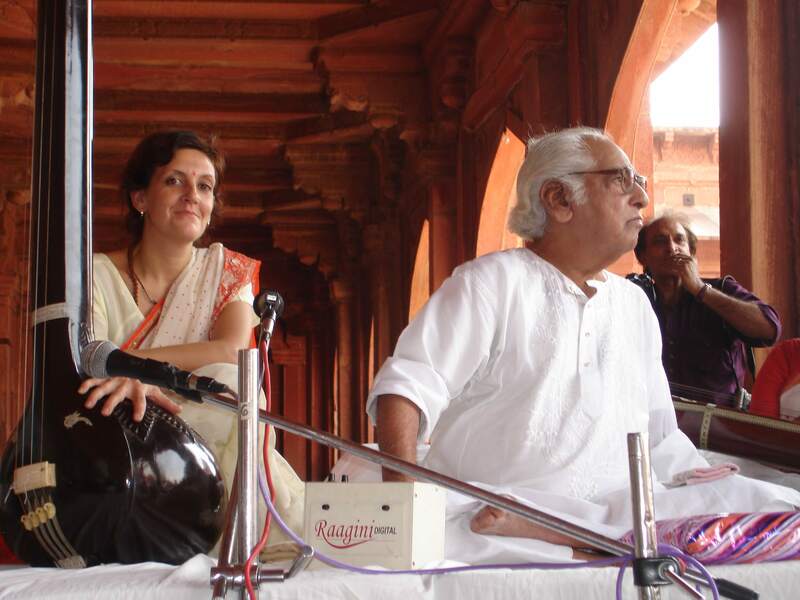 The evocative atmosphere reminded me of a similar experience occurred when I have been at the Qila of Fatehpur Sikri to accompany the concert of my teacher, the late Padma Bhushan Ustad Rahim Fahimuddin Khan Dagar (1927-2011). That morning Dagarsaheb performed raga miyan–ki–todi and I had the privilege to play tanpura and sing along with him. Sitting on the stage, I was impressed by the magnificent architecture of the place, in the middle of nowhere, just like the complex architecture of Dagarsaheb’s alapa carved in the centennial silence. I was so exited to perform where Tansen was supposed to have sung, that my thoughts, my heart and my music were running fast. I remember Dagar Saheb turning towards me to say that I had to keep calm, to slow down the pace of my thoughts, my breath, to merge in the meditative structure of dhrupad alapa, bandish and layakari. 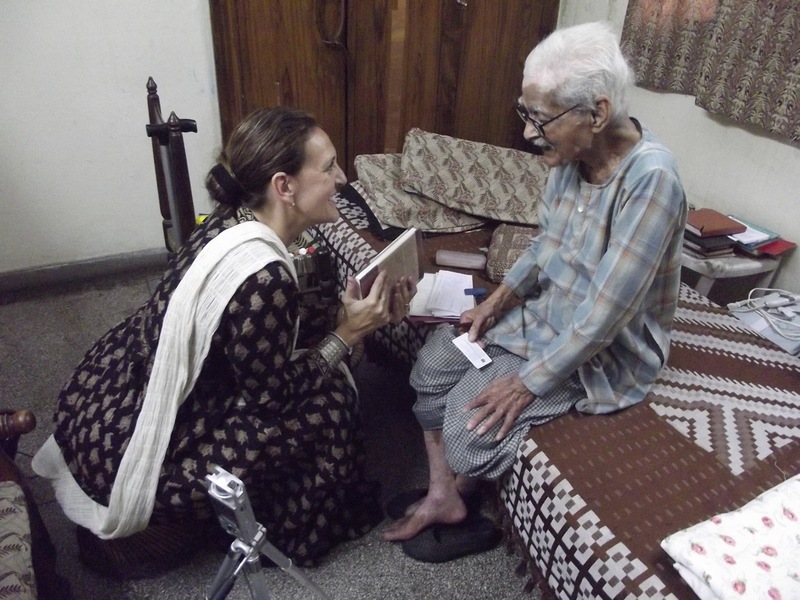 As he was used to say: “dhrupad is not a musical form. Listen the atmosphere all around, feel the speed of the wind, of your breath and then sing accordingly”. In about 16 years of learning from Ustad Rahim Fahimuddin Khan Dagar, his perception about music as well as his lifestyle convinced me that the pace –laya– of dhrupad matches a dimension of life where there is no rush. One might say that dhrupad requires a certain mindset to be performed, as well as the dhrupad laya (and dhrupad rhythmic structure) has an effect on mind. 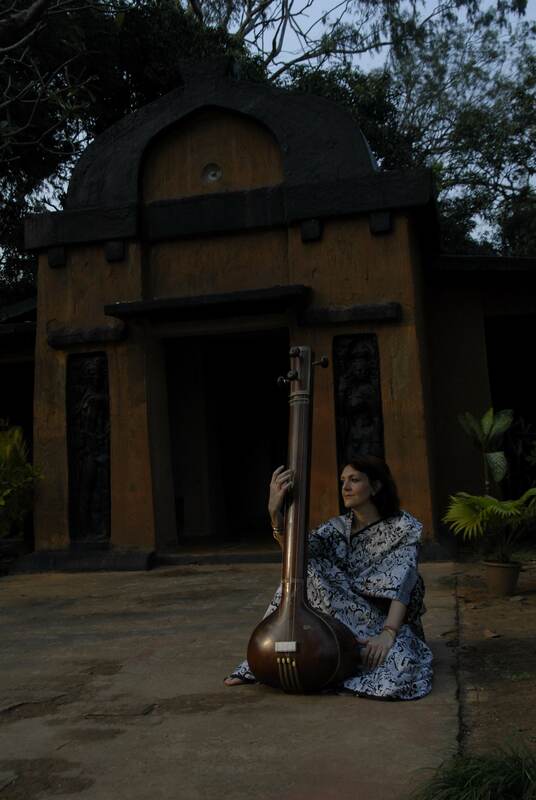 At a personal level, I have found that in order to sing an ancient form of music such as dhrupad it’s important to reconnect to that ancient quality of life and biorhythm. That’s probably the reason that pushed me to live and study in India for several years, merging myself in the soundscape of places like the old Qila at Chet Singh Ghat (on bank of the Ganges) in Varanasi, the Tagore’s house in the peaceful forest of Shantiniketan (West Bengal), the old 18th century haveli in the Thar desert in Rajasthan, and -last but not least- in Amritsar, at the court of the Almighty. All these memories and thoughts came back to me when I got out of the taxi and started to walk in the Qila of Sultanpur Lodhi, in Punjab. The fast pace of my trip and fieldwork was suddenly broken by the slow laya of shabad kirtan (in dhrupad ang) and its practice. 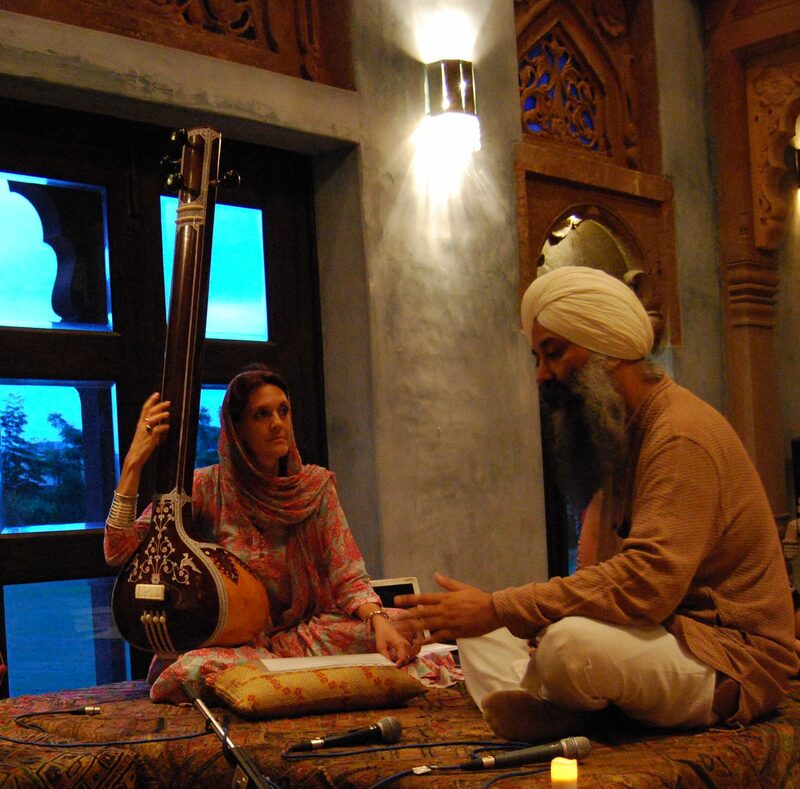 Just like Ustad Rahim Fahimuddin Dagar did at Fatehpur Sikri, Bhai Baldeep Singh brought me back to singing at the pace of dhrupad and, in the little time I spent at the Qila, kindly he gave a wonderful talim in shabad kirtan as well as in the percussion technique and repertoire according to the Amritsari baaj school. Sung in the monsoon atmosphere, during the month of Bhadoon the melody of raga malhar resounds all day long in the Sri Darbar Saheb in Amritsar as well as in every Gurudwara, so that even a non-musician may assume to know raga malhar by heart. 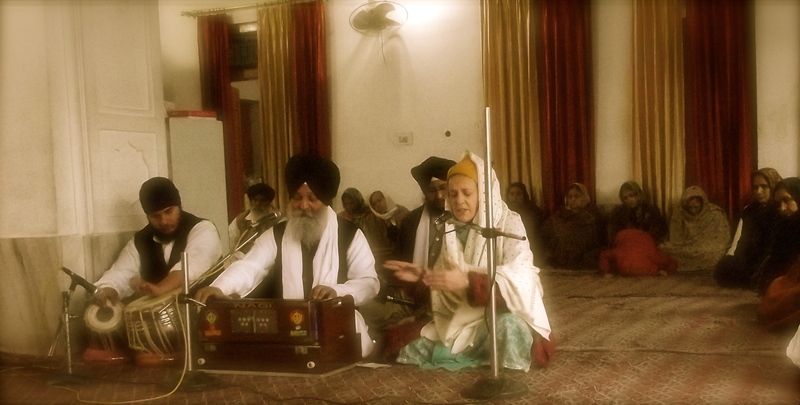 Yet surprisingly the malhar that we heard in Sultanpur Lodhi sounded a little bit different. Bhai Baldeep Singh carefully explained us the differences between malhar and shuddh malhar, the original form of the raga with only five notes as sung at the Gurus’ time. This form of the raga might appear very close to other audav (pentaphonic) ragas. 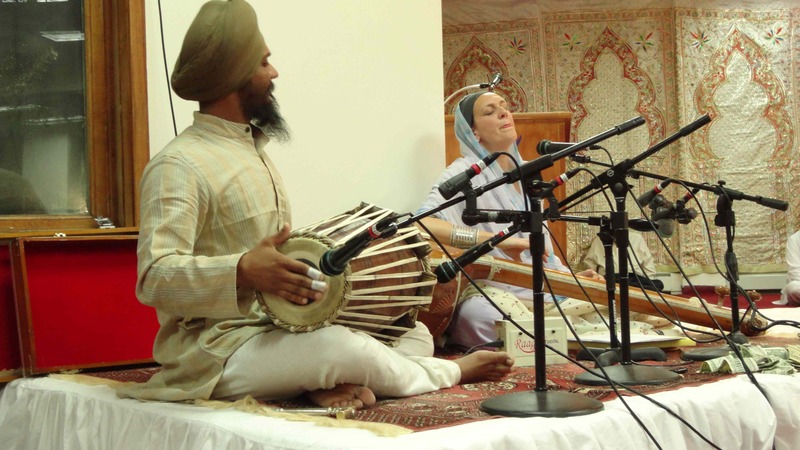 After comparing it with raga durga, Bhai Baldeep Singh demonstrated how shuddh malhar preserves its own melodic characteristics that however enable us to identify the raga. Of particular interest was the session started in the second quarter of the night with raga natt. Bhai Baldeep Singh introduced the students to the peculiar vakra (oblique) movement of raga choosing an authentic masterpiece of the fifth Sikh Master Guru Arjan Dev. Here he compared it to other ragas such as gond, bilaval, suhi showing how all of these are so close yet so far from each other. The composition in raga natt contains all the elements (and the beauty) of the Gurbani tradition, in its apparently simple construction. Ha▫o vār vār jā▫o gur gopāl. I am a sacrifice, a sacrifice to the Guru, the Lord of the World. While the first stanza goes in the higher octave touching the pancham (the fifth note), as the highest point of the prayer. Mohi nirgun ṯum pūran ḏāṯe ḏīnā nāth ḏa▫i▫āl. I am unworthy; You are the Perfect Giver. You are the Merciful Master of the meek. As in this case, the teaching of Bhai Baldeep Singh is often focused on the musical exegesis of the authentic Gurbani tradition. His musical analysis aims to show the thought beyond the actual sound, and how poetry blends with raga and tala in order to constitute an effective unity. In more than 25 years of research, Bhai Baldeep Singh collected original masterpieces of the Gurus’ time and his memory represents an oral archive of inestimable value. Saxena not only expressed his appreciation for the huge work of documentation, but he was also fascinated by Bhai Baldeep’s analytical approach to compositions, with particular regard to the rhythmic tradition of the Amritsari baaj that Bhai Saheb represents. As Saxena explained, the exegesis of the raga and tala is a very important part of the Indian heritage and thought. “Every sound enters silence in a particular way” he said with his cracking voice, before quoting an example from Surdas, where the sound of the anuswara in the words sang, bhang, bhojang and rang is meant to create an effect on the poet as well as on his listener. It’s a matter of music semiology (Nattiez 1991), and Saxena on this regard suggested an interesting analogy between Shakespeare’s poetry and the rhythmic tradition of North India. In total agreement with this perspective Bhai Baldeep Singh (who was present during the interview) added that in the Amritsari baaj, significantly the opening syllable is not Ka but “KAI…! “ And in this way the whole aesthetic of the Amritsari baaj style is established. “Not only the rhythmic patterns played on the drums are important but also the recitation it’s just important and fascinating as the actual playing. 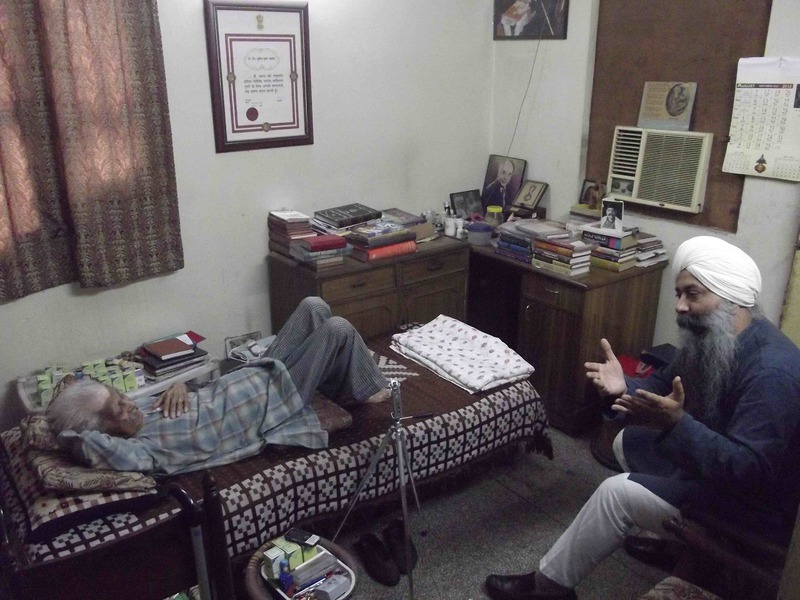 This conversation came back to my memory when I sat with my teacher practicing the pakhawaj paral-s. Bhai Baldeep Singh was playing jori while I was reciting and memorizing the exercise after him…. Left the fast pace of my fieldwork’s schedule, I was caught in the majestic dhrupad laya right from the first KAI..! sorry to say that all this is very less to do anything with ‘truly classical music’ ! !